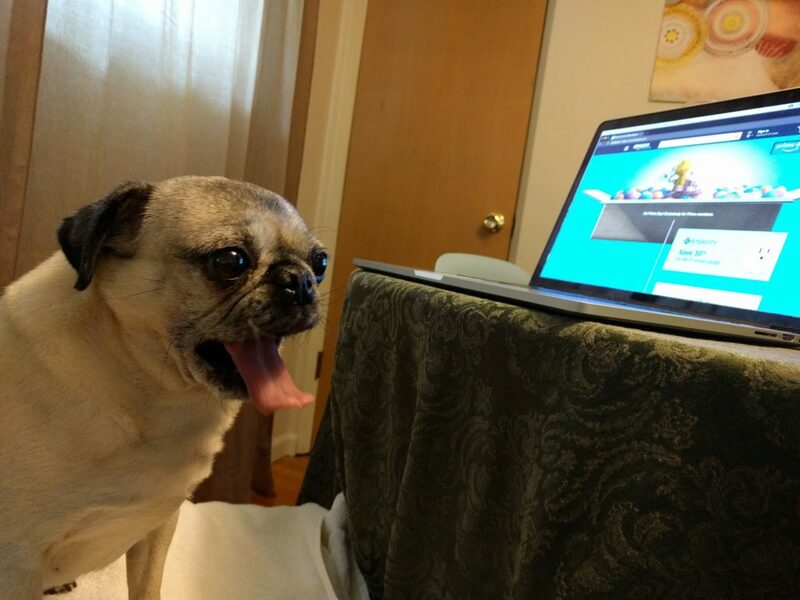 Nickie the pug is buying all of the things! We told Nickie it was Amazon Prime Day, and she’s been shopping around to get everything on her wish list! All of this online shopping sure is exhausting! Happy Prime Day everyone!